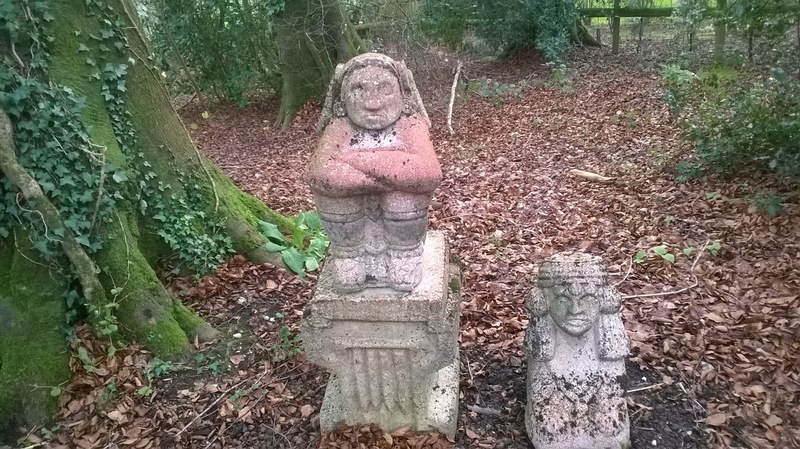 This entry was posted in Blog entries, Garden of Rooms, Herefordshire, The Secret of the Tirthas and tagged book inspiration, garden blog, video on January 6, 2018 by Steve Griffin. 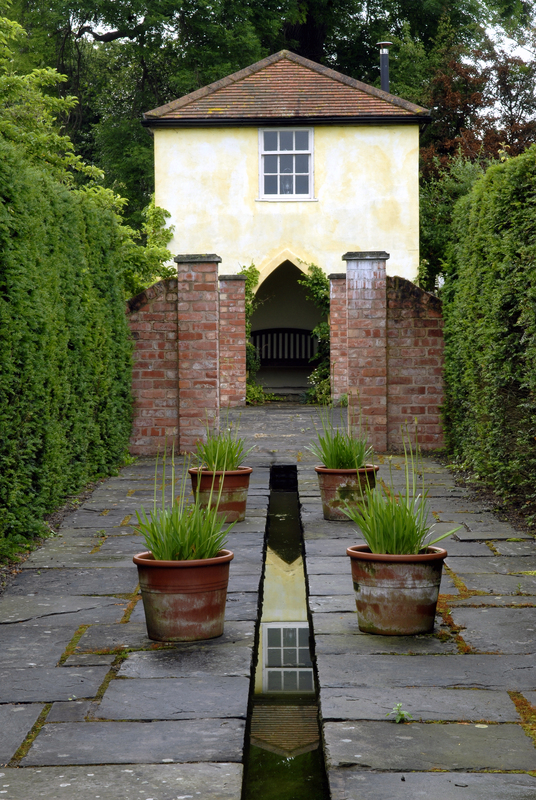 I have already posted about the amazing ‘garden of rooms’ in Herefordshire that inspired The Secret of the Tirthas here. Now there are two more books out, I thought I’d share a few more photos of the garden, including some of the rooms that feature in those books. 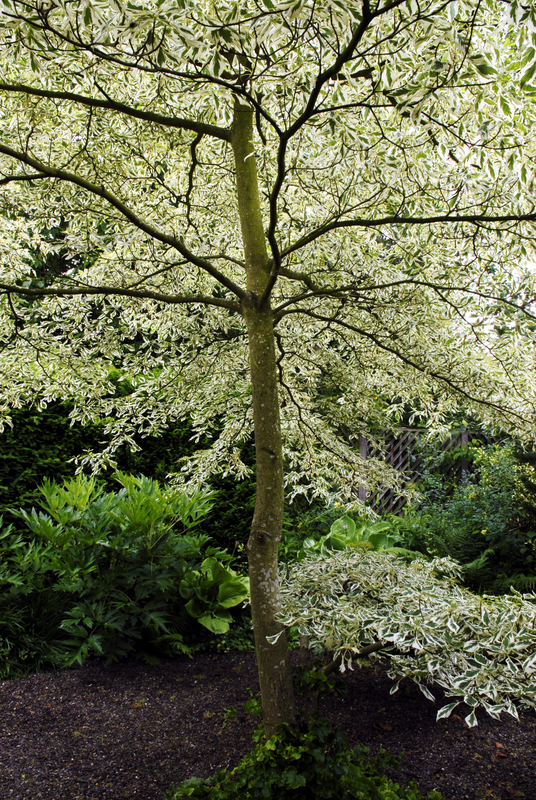 ABOVE: The Wedding Cake Tree in the real Miss Day’s Garden. I’ve no idea who the real Miss Day was though – there’s no clues on the Garden’s original map, so she remains a mystery. In The Book of Life this garden is overgrown, abandoned by Evelyn Hartley when her cowardly brother fled the World War One draft through the tirtha to Louisiana. ABOVE: The view that inspired the scene when Lizzie looks out of her bedroom window on her first night in Rowan Cottage and sees the criss-crossing hedges in the moonlight. The garden right below her is the Sun Garden. ABOVE: Two South American gods who haven’t (as yet) featured in the stories. 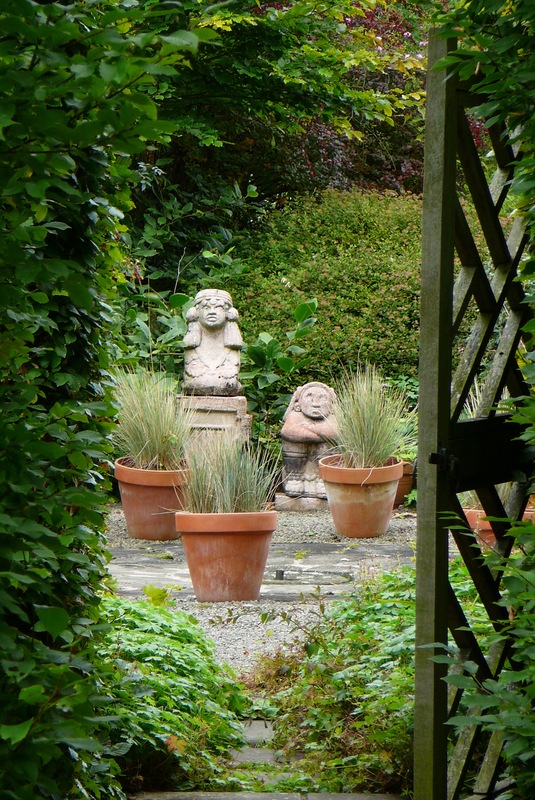 And BELOW a photo of them as they are now in a different garden – always pretty glum, but now somehow glummer! BELOW: The Rill looking up towards The Tower – this place is going to get a lot more important later on. 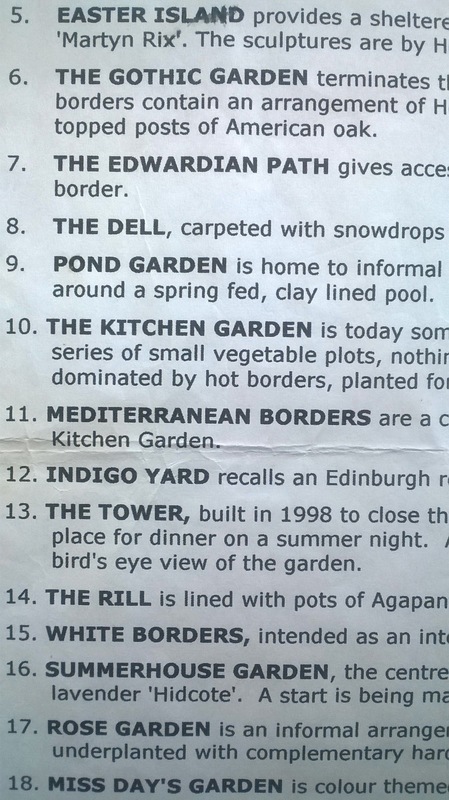 BELOW: Excerpt from the original list of the Garden Rooms. 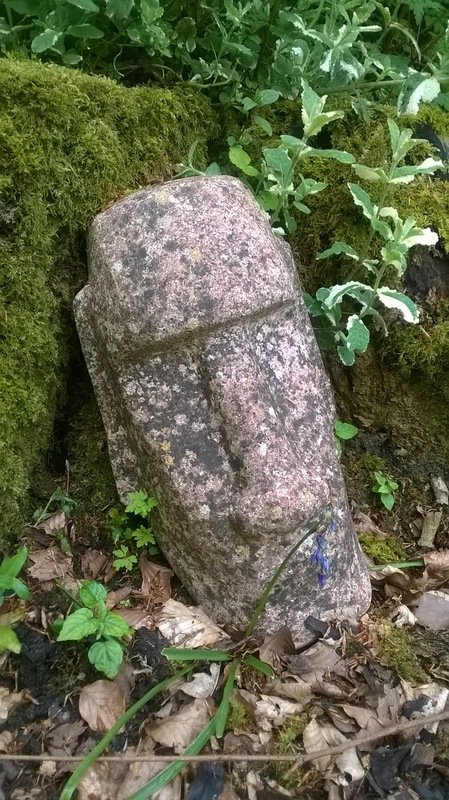 The Edwardian Path features at the start of the forthcoming book, The Lady in the Moon Moth Mask. 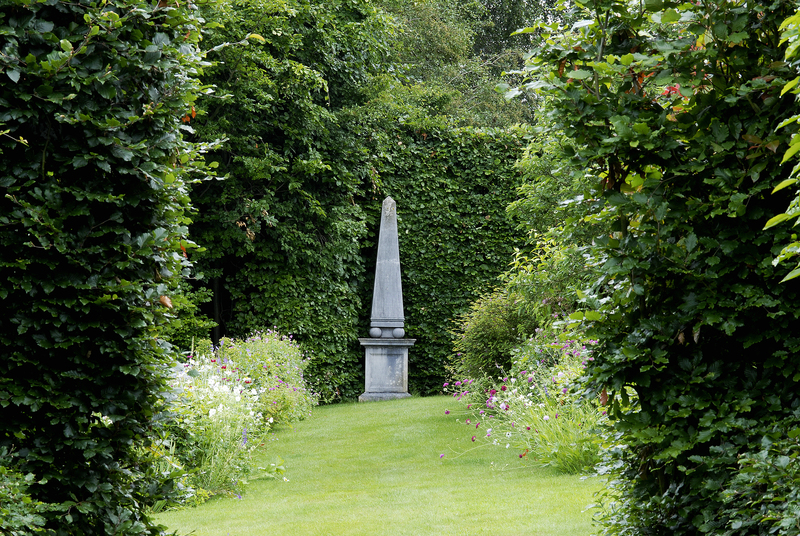 The Gothic Garden will come into its own soon, too. 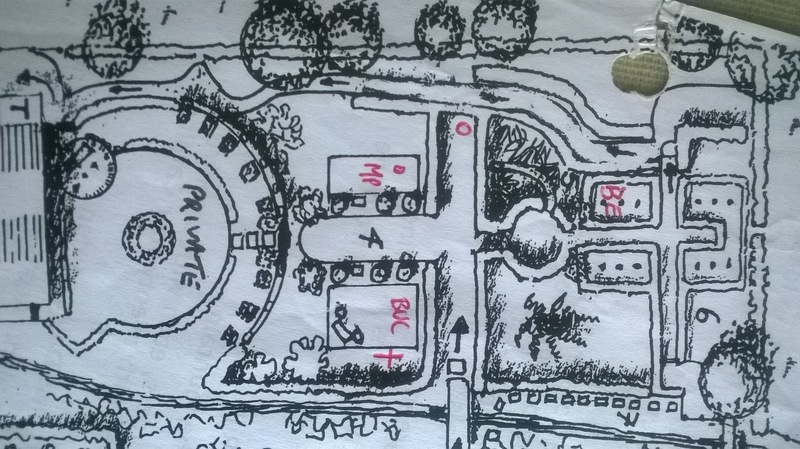 BELOW: The plan of the whole garden is on the first post I mentioned above, but here’s a detail of the Sun Garden and area beyond. 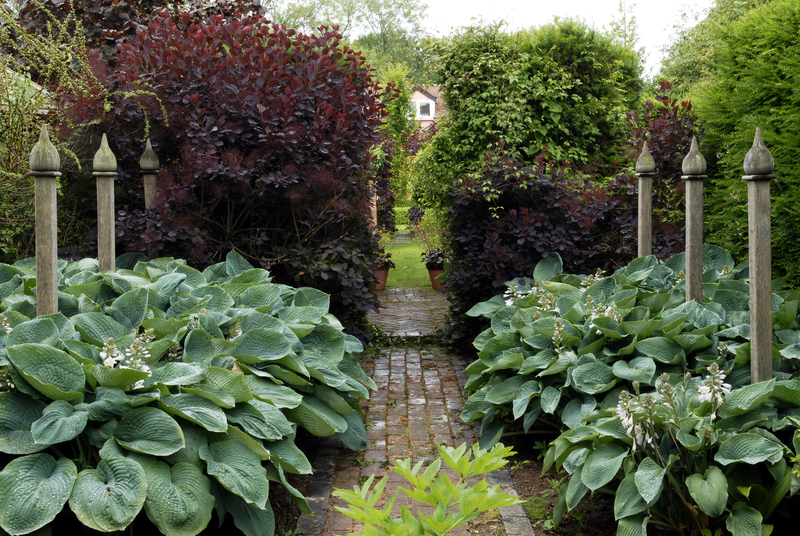 It includes the Gothic Garden, and the site where I imagined the Indian Garden. 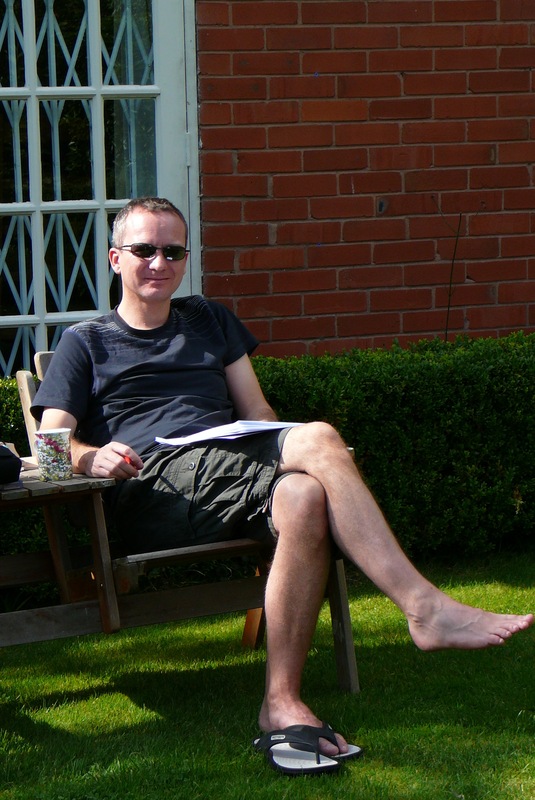 And finally me, working on the first draft of The City of Light in the garden. 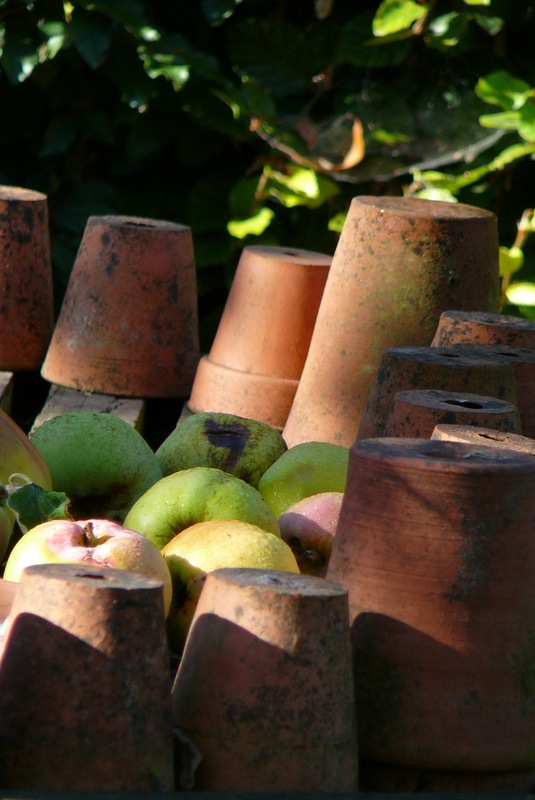 This entry was posted in Blog entries, Britain, Garden of Rooms, Herefordshire, The Secret of the Tirthas and tagged arrow cottage, arrow cottage garden, garden blog, gardens in fiction on August 2, 2016 by Steve Griffin. 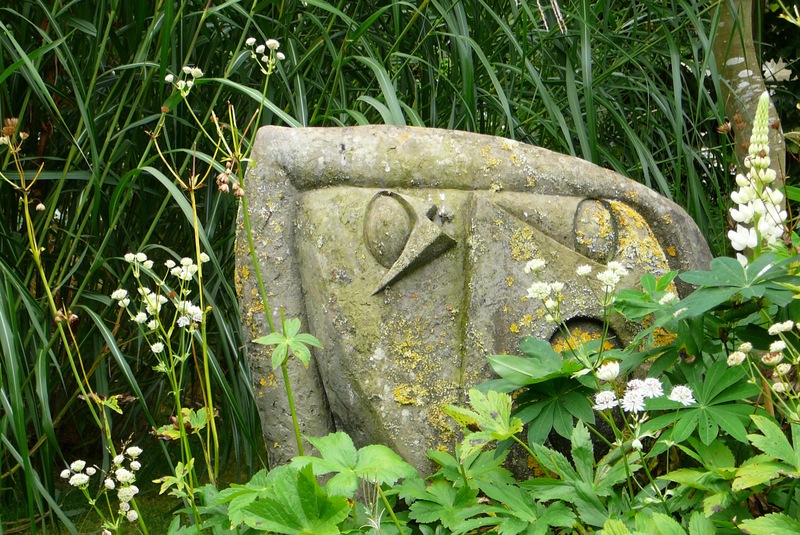 The Secret of the Tirthas was inspired by a unique garden in a remote part of Herefordshire. 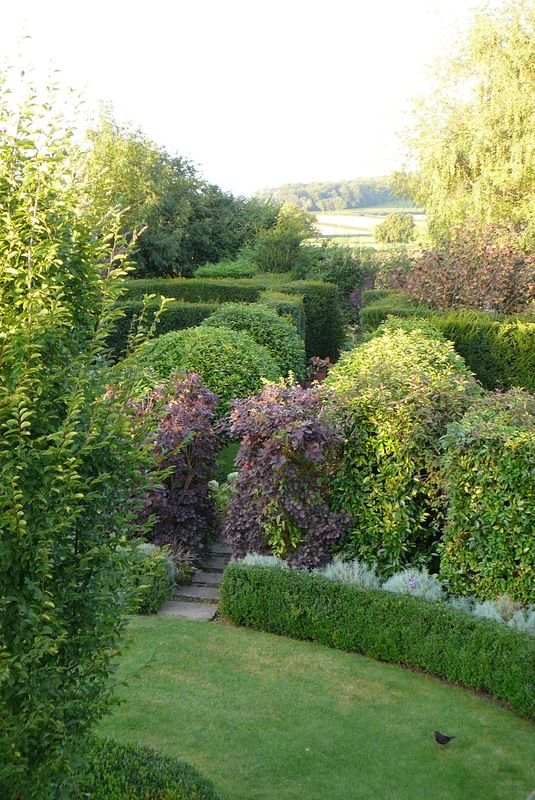 The garden consisted of over 20 hedged rooms, laid out over two acres behind a sixteenth century cottage. It was designed and constructed by the landscape designer Lance Hattat and his wife. 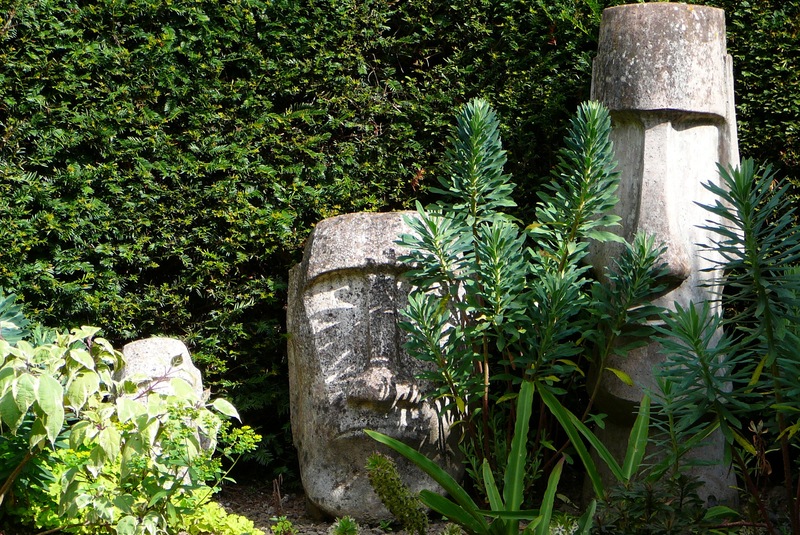 The rooms were inspired by seemingly random themes, ranging from South American gods to the designer’s favourite Edinburgh restaurant, to Easter Island statues and the elusive Miss Day. Original and startling sculptures were supplied by a range of artists but particularly the talented Helen Sinclair. 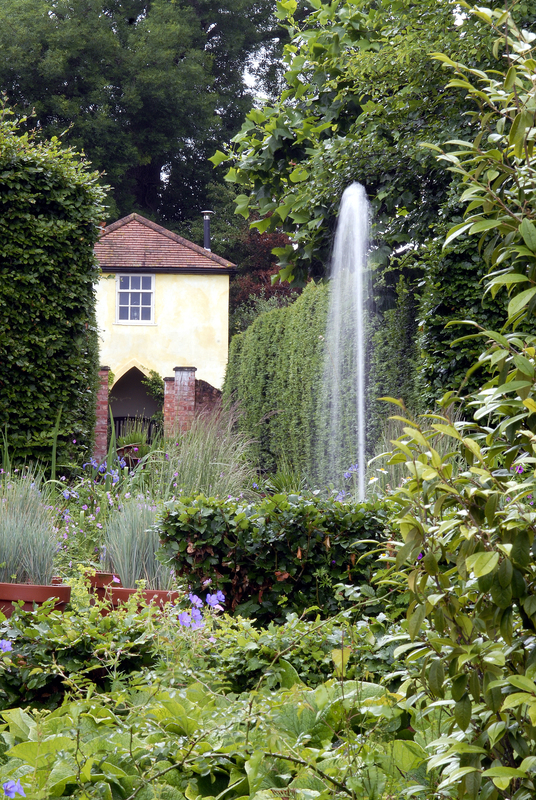 The garden only covered a small area, but the intricate rooms with their range of features – ponds, towers, statues, brooks, summer houses, orchards, bridges, arches, fountains – all served to create a sense of a much larger space, with a seemingly endless sense of discovery and surprise. 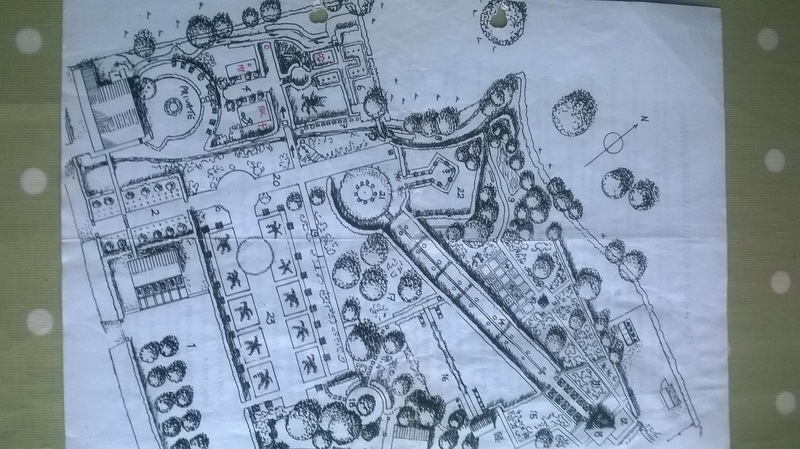 The layout of the garden in The Secret of the Tirthas is largely based on the original layout, with a few notable exceptions – The Indian Garden is entirely new, for instance. I’ve heard that the garden has been significantly dug out and replaced by a vineyard now, which is a terrible loss to those who knew and loved it (it was open to the public for most of the summer). 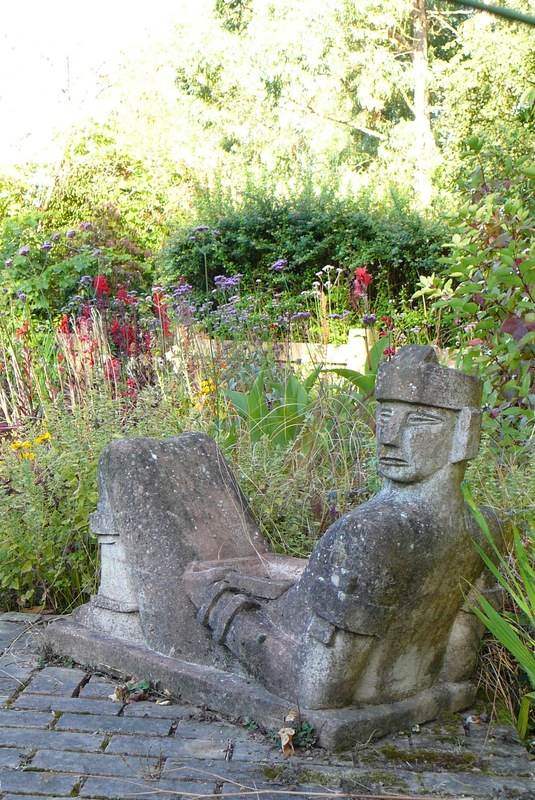 I hope the books can help to preserve at least something of that special garden in rural Herefordshire. 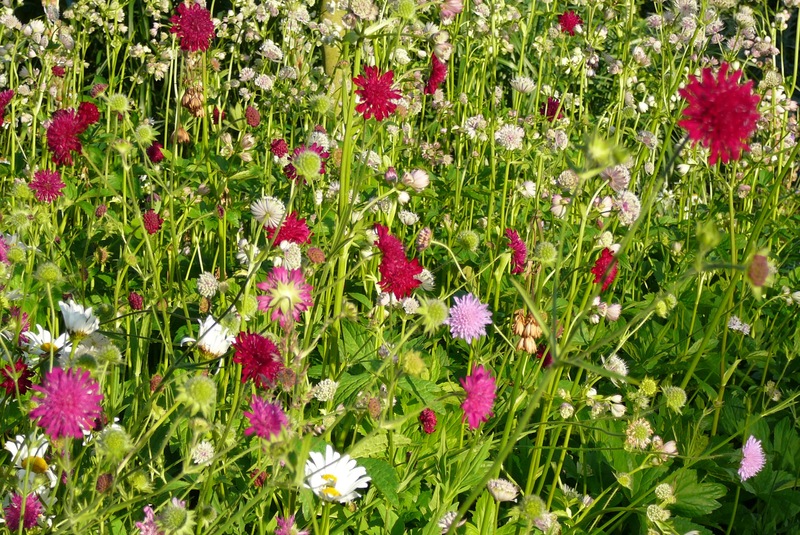 This entry was posted in Blog entries, Garden of Rooms, Herefordshire, The Secret of the Tirthas and tagged arrow cottage, arrow cottage garden, garden blog, gardens in fiction on August 10, 2015 by Steve Griffin. Up in the Air poetry book – my first ever Youtube review! The Secret of the Tirthas is now on Kindle Unlimited! Steve Griffin on Up in the Air poetry book – my first ever Youtube review! 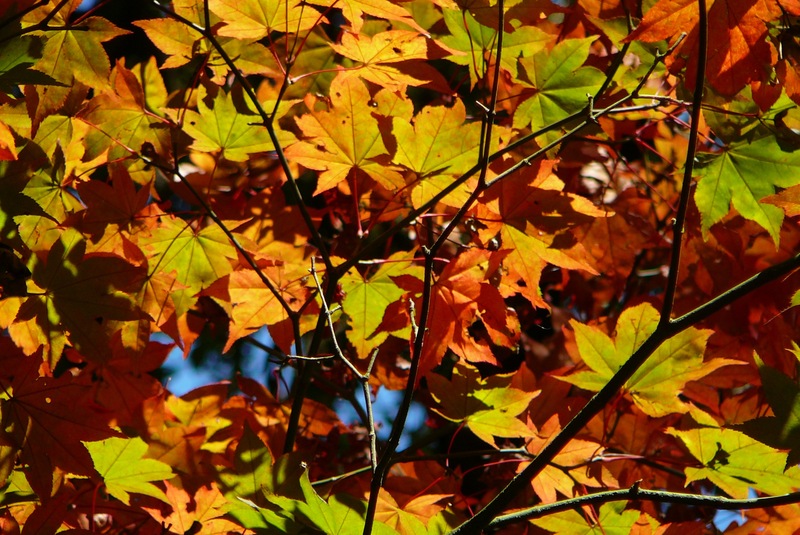 Pauline Reid on Up in the Air poetry book – my first ever Youtube review! Steve Griffin on 2018 Year Review – a big thank you!